We’re crazyproud to once again sponsor the Big Chip Awards – we’re answering their questions and sharing why we think it’s such an important accolade! 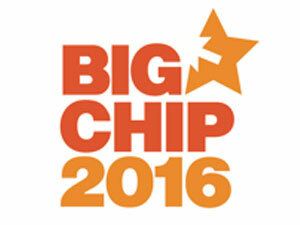 You have supported The Big Chip Awards for a number of years, what is it that makes the awards so special for you? It’s an incredible feeling to be involved in something as important as the Big Chip Awards, not least because the digital industry in the North has a very community feel – it’s like bringing together a big group of like-minded friends to celebrate all the amazing things that are happening in the region! On top of that, the Big Chip Awards are now legendary within the field, so it’s a real mark of pride to be involved, and an incredible opportunity to recognise the northern talent that’s pioneering and disrupting – basically, doing what digital does best! How do you think a Big Chip Award benefits winners? Firstly there’s the direct benefit to the business – it’s a big neon sign firmly putting a business on the map. The industry recognition and the press it offers can be invaluable too; for newer companies it’s an opportunity to set themselves apart, and for longer-standing companies it’s a chance to show that they’re still innovating and raising the bar. The awards on a larger scale also benefit all of us – digital is the future and it’s so important to recognise talent around the country, shouting about the incredible work that’s happening up here. Encouraging the industry to thrive in the North will have far-reaching implications for the entire country’s digital growth. In your opinion, what has been the biggest change in the digital sector in the last 12 months? There’s been a noticeable shift toward cyber security this year which is great. In all the excitement that currently surrounds digital, and the pace the sector moves at, it’s easy for businesses to overlook security; thinking it’s not worth the investment, or that they simply won’t be a target, which is simply not the case. The government is now proactively encouraging businesses to invest in security and be more aware of threats and how to protect themselves, and – with breaches on companies of all sizes splashed across the headlines on an increasingly regular basis – we’re starting to see some traction. There can’t be any weak links in the chain; this is an issue that all businesses have to stand together on! What are you looking forward to at this year’s ceremony? We can’t wait to see everyone – to check in with familiar faces and meet new ones! It’s always an amazing evening and everyone who attends is there for one reason: to support the incredibly exciting digital sector in the north. Now is the time for digital in the region, so we hope to see you there! Awards show industry-recognised excellence in a sector – here are a few of our own.